Can Florida Police Search Your Car’s “Black Box” Without a Warrant? Most of us carry a smartphone everywhere. You may not realize it, but these portable computers track your every movement and activity. This data can prove useful to law enforcement looking for evidence of criminal activity. Which is why it is important for courts to define the boundaries of police searches of any device that contains a person’s electronic data. This even goes for something as routine as a DUI case. Today many new cars have data recorders similar to the famous “black boxes” on airplanes. Federal safety regulators collect data from these boxes to learn more about the circumstances surrounding car accidents. We are not just talking about basic telemetry data like speed and location. Under federal standards, car data recorders can measure everything from steering angles to whether the occupants were wearing their seat belts. Some recorders can also take audio or video just before a crash. Given this potential treasure trove of data, it makes sense that Florida law enforcement would want to access these black boxes after a serious accident, especially if they suspect drunk driving was involved. But what about the rights of the driver? 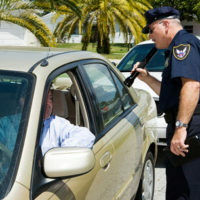 Can the police look at a car’s data recorder without first obtaining the driver’s consent or a warrant. A Florida appeals court recently addressed this question for the first time. This case sadly involves something more serious than a simple DUI. In 2013, a car was in a “high speed” crash in Palm Beach County that killed the vehicle’s passenger. Police eventually charged the driver with DUI manslaughter. Immediately after the fatal crash, police impounded the defendant’s vehicle. After 12 days, the police decided to download and analyze data from the car’s “black box.” The police did not apply for a warrant to do so until four days later, which the court denied since the search was already complete. The judge presiding over the defendant’s criminal trial granted his motion to suppress the black box data. The prosecution appealed. But in a March 29 ruling, the Florida Fourth District Court of Appeal agreed with the trial court the police’s actions violated the defendant’s constitutional rights. The Fourth Amendment protects all individuals from “unreasonable” searches by the police. This means that ordinarily, police require consent or a warrant, unless there are “exigent” circumstances (such as searching a suspect for weapons in order to ensure the officer’s safety). The Fourth Amendment is commonly described as protecting a person’s “privacy,” which extends to his home or car. Similarly, the Fourth District said in this case the defendant had “an expectation of privacy in information contained in an automobile data recorder.” The court noted the data itself is “difficult to access” without special training and equipment. And given the Florida Supreme Court has already extended warrant requirements to searches of smartphones, the same reasoning should apply to black boxes in cars. Have the Police Searched You Illegally? The law in this area remains unsettled, however. One judge on the Fourth District panel dissented from the majority’s holding. And there appear to be only a handful of rulings from other state courts on the question of black box searches. So we may see the Florida or U.S. Supreme Courts weigh in on the subject at some point. If you have been arrested on suspicion of DUI and you have any reason to believe the police acted improperly, it is critical you speak with a Miami criminal defense lawyer right away. You should never be reluctant to stand up for your constitutional rights. Call the Law Office of Julia Kefalinos, P.A., today to speak with a qualified attorney who can assist you.